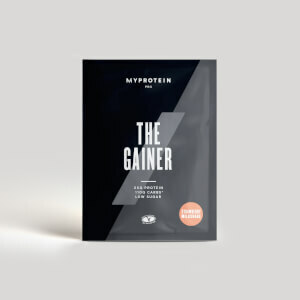 To gain weight and mass your body needs to be in a calorie surplus, and THE Gainer boasts an amazing 750 calories — delivering the fuel you need to succeed. Alongside a high-quality protein blend, that helps grow and maintain important muscle, 1 it contains a combination of fast- and slow-digesting carbs that’s essential for recovery 2 — supporting your workouts session after session. And, it’s got the healthy fat sources flaxseed and MCT — perfect for increasing fibre and calorie intake. Plus, it comes in two indulgent flavours – Chocolate and Strawberry – both jam-packed with unrivalled taste and quality. MCT: a specific class of fatty acids— an important addition to a healthy balanced diet. Flaxseed: these seeds have been used throughout history as a source of fibre and fatty acids. MyZyme®: a blend of enzymes that break proteins into their amino acids while being digested. When to take THE Gainer? It’s recommended to consume 30-60 minutes after your workout to gain the maximum. However, you can also take it at any time of the day to top up on protein. 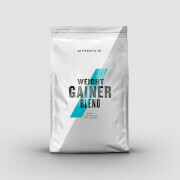 What does THE Gainer work well with? 3. Caffeine contributes to increased endurance performance, as well as increased alertness. 4. Creatine is proven to increase physical performance in successive bursts of short-term, high-intensity exercise. The beneficial effect is obtained with a daily intake of 3 g of creatine. 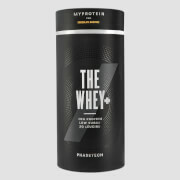 Strawberry Milkshake flavour: Carbohydrate powder blend (58%) (Carb10™ (Pea Starch), Highly Branched Cyclic Dextrin, Gluten Free Oatflour, Organic Buckwheat Flour), Protein Blend (32%) (Whey Protein Isolate (Milk, Soy), Concentrated Whey Protein (Milk), Whey Protein Hydrolysate (Milk), Micellar Casein (Milk)), Flavouring (Colour (Beetroot Red), Sweetener (Sucralose)), Flaxseed Powder, Medium Chain Triglyceride Powder (Palm oil, Glucose syrup, Stabiliser (Potassium Phosphate), Antioxidant (Calcium Phosphate)), Emulsifier (Xanthan gum), MyZyme™ (Enzyme Blend; Protease, Amylase, Lactase, Cellulase, Lipase). 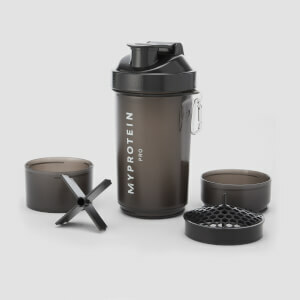 Chocolate Brownie flavour: Carbohydrate powder blend (58%) (Carb10™ (Pea Starch), Highly Branched Cyclic Dextrin, Gluten Free Oatflour, Organic Buckwheat Flour), Protein Blend (32%) (Whey Protein Isolate (Milk, Soy), Concentrated Whey Protein (Milk), Whey Protein Hydrolysate (Milk), Micellar Casein (Milk)), Fat Reduced Cocoa Powder (6%), , Flaxseed Powder, Medium Chain Triglyceride Powder (Palm oil, Glucose syrup, Stabiliser (Potassium Phosphate), Antioxidant (Calcium Phosphate)), Flavouring, Emulsifier (Xanthan gum), Sweetener (Sucralose), MyZyme™ (Enzyme Blend; Protease, Amylase, Lactase, Cellulase, Lipase). 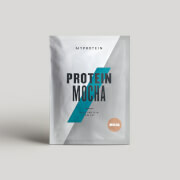 Ready-to-mix protein and carbohydrate powder blend, with added amaranth and tigernut flour, L-glutamine, BCAAs, multivitamins and enzymes. Various flavours with sweeteners.